We’ll be the first to say you can’t go wrong with wedding cake — it’s cake! — but as these photos you can go so, so right. We mined the depths of the internet to find the most creative wedding cakes on reddit: the sculptural, the succulent, and the totally unconventional. Of course, these ten are just our opinion; cake, after all, is a matter of taste. There is no waffling about it: this non-cake cake (it’s waffles) is as elegant a stack of gorgeous carbohydrates as we have ever seen. A monument to love, and to commercial air travel! 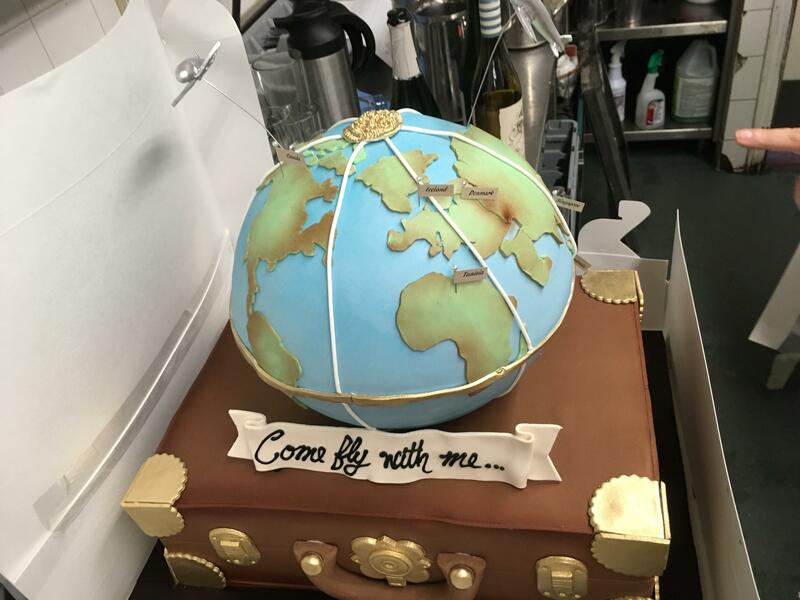 One pair of intrepid love birds turned their cake into a globe charting their international adventures together, because love is about the journey, not the destination. Like enduring love, succulents never die. All the beauty of nature, all the flavor of cake. This birch-inspired number is an unusual twist on traditional florals. To celebrate their lifetime of commitment, this couple went with a low-key gothic palace by the Indonesia-based LeNovelle Cake. The castle is apparently entirely edible — fondant, sugar, more fondant, more sugar — though seemingly lacking in actual cake. 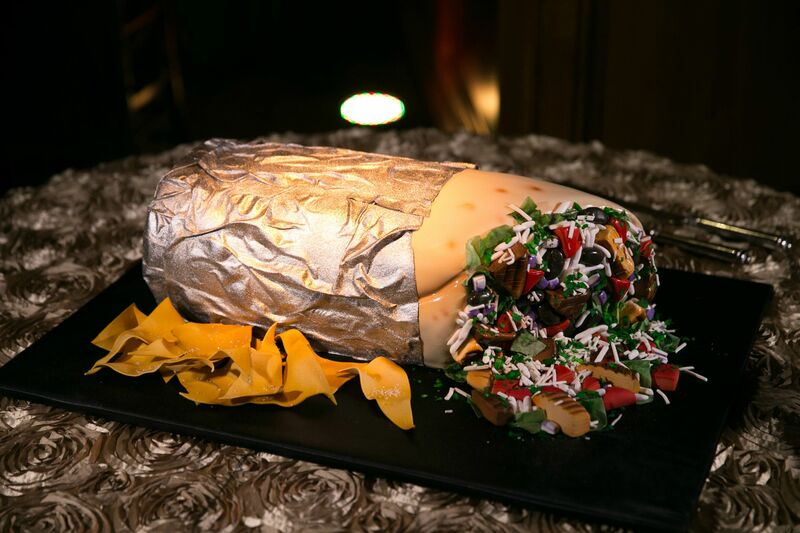 Weddings honor many kinds of love, such as romantic love, and the love of burritos. 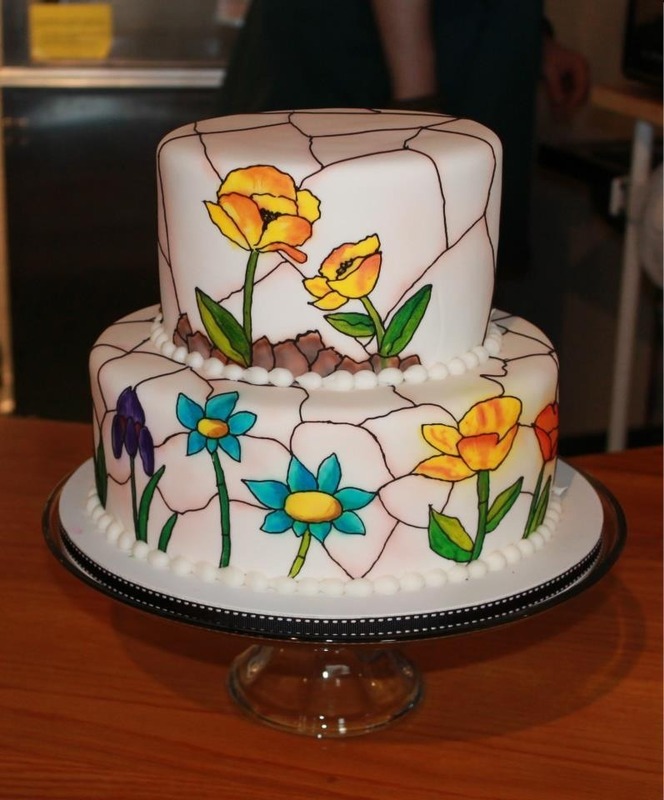 Classic (but not too classic), this stained glass cake is a subtle (but not too subtle) stunner. 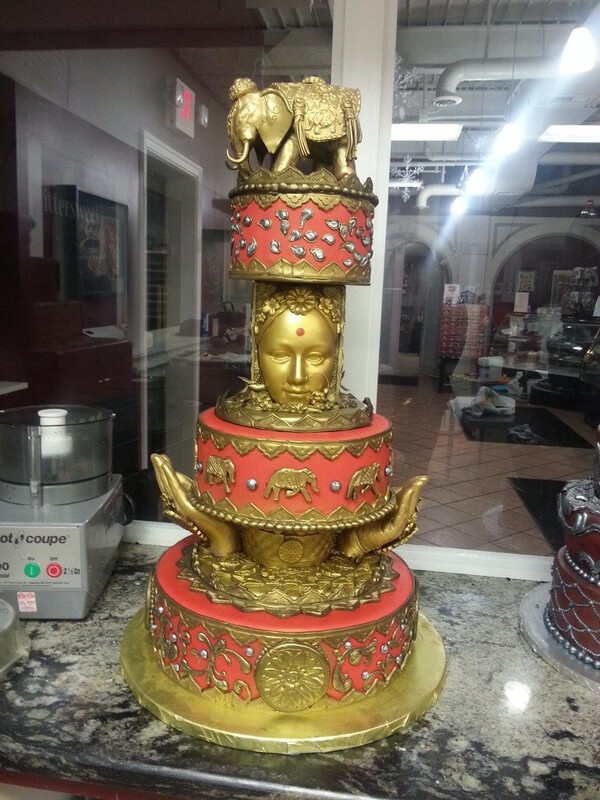 Every single element of this culinary tour-de-force is edible, from the chocolate-cast, gold-painted elephant to the chocolate-cast, gold-painted hands. It is a matter of some debate on reddit whether this is an ode to Settlers of Catan or Civilization (Civilization, according to the couple, who presumably would know), but you don’t have to be a gamer to appreciate the over-the-top artistry of this hyper-detailed cake.